M Resort again hosted Joy Prom on May 7, 2016, a community event providing a prom experience for 350 special needs guests. Guests get the party started with some strutting on the red carpet. This is the seventh year M Resort has quietly hosted Joy Prom, an event costing the hotel-casino tens of thousands of dollars a year. M Resort has supported Joy Prom at great expense but has never trumpeted its generosity. Well, we’re trumpeting it, because it’s an awesome event, and full disclosure, we’ve taken part in Joy Prom Las Vegas since its inception. 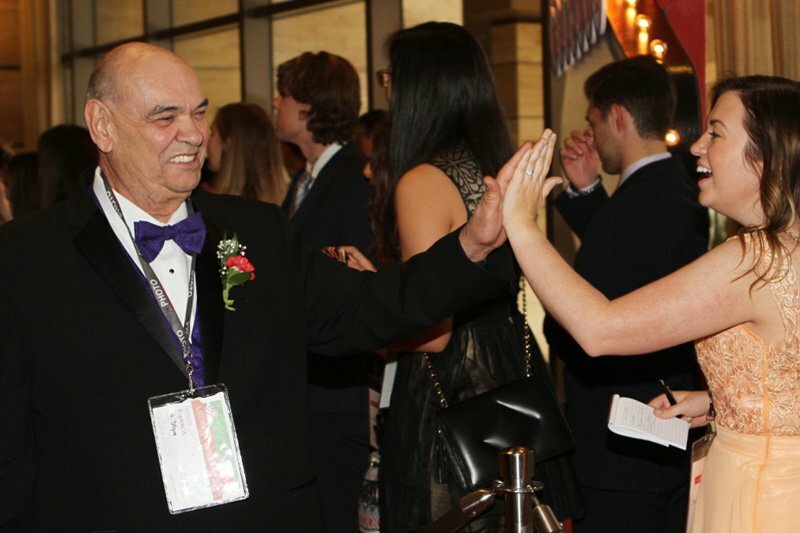 Throngs of volunteers give special needs guests a true red carpet experience. Joy Prom involves hundreds of community volunteers and dozens of partner, sponsor and guest organizations. 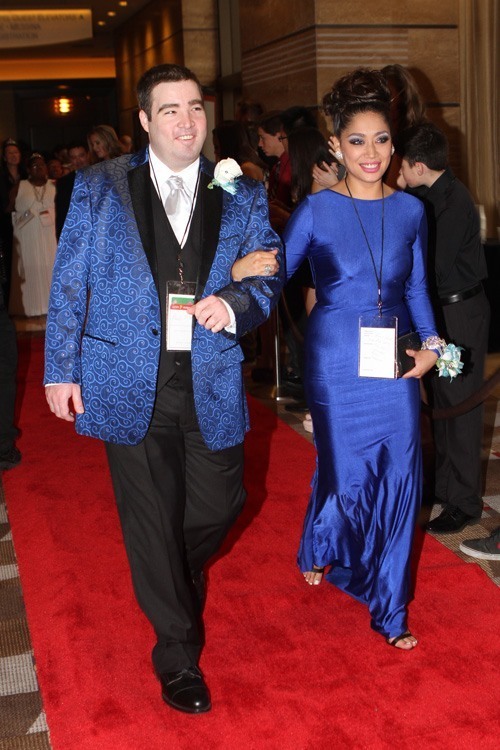 Joy Prom guests are teenagers and adults with cognitive and physical impairments. They come from a number of local nonprofits, including Down Syndrome Organization of Southern Nevada, Good Friends, Holdsworth, Inc., New Vista, Pinnacle Community Services and REM Nevada. The prom is provided at no cost to guests. Joy Prom inspires too many smiles to count. Joy Prom gives guests a chance to dress up, get their hair and makeup done and each guest gets to walk a red carpet, complete with autograph-seekers and “paparazzi.” Guess which part we help with! M Resort hosts a full dinner for guests, then they dance late into the evening. Joy Prom guests arrive dressed to the nines. Unless people don’t say that anymore. We are a Las Vegas blog, not an Urban Dictionary. 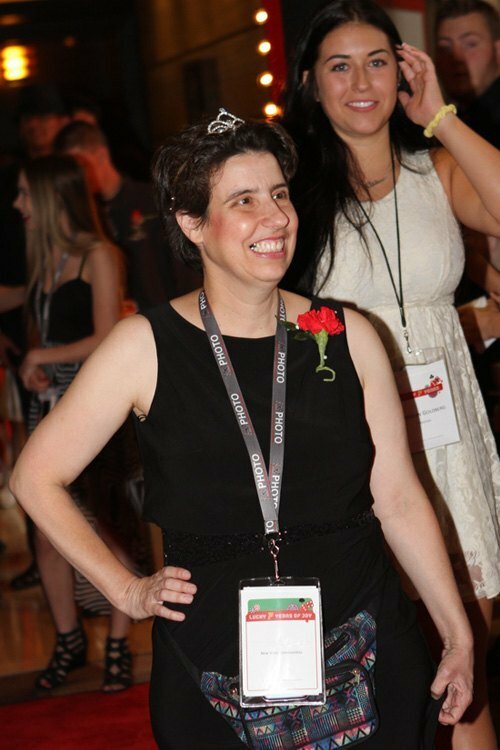 Joy Prom is a one-of-a-kind, community-driven event, as evidence by the unadulterated, well, joy on the faces of those in attendance (both guests and volunteers). Guests frequently mention Joy Prom is the biggest night of their lives. We’re so there. Volunteers from the community spend months planning the event, and M Resort has shown an extraordinary commitment to Joy Prom throughout its history in Las Vegas. Find out more about Joy Prom Las Vegas, and heartfelt thanks to M Resort, one of our favorite Las Vegas casino-hotels, for hosting this remarkable event. This entry was posted in Las Vegas on May 7, 2016 by Scott Roeben. Sure warmed my heart when I read this story! Thanks for sharing it and a huge thanks to the M! Such a feel good story. Bravo to all who give their time and money to make this event happen ? Thanks for posting this story. I had never heard of Joy Prom. Cheers to the M for hosting this event.Makes me want to stop my and drop some $ to show I support those who give back to the community.